Blessed are You, Adonai, our God, sovereign of the universe, who sanctified us with Your commandments and commanded us regarding the elimination of leaven. Let any fermentation or leaven in my possession that I have not noticed and have not eliminated be nullified and become as the dust of the earth. Let any fermentation or leaven in my possession, whether or not I have noticed it and whether or not I have eliminated it, be nullified and become as the dust of the earth. Blessed are You, Adonai, our God, sovereign of the universe, who has sanctified us with Your commandments and commanded us regarding the commandment of mingling. By means of this mingling, let it be permissible for us to bake, cook, insulate hot foods, transfer fire, and tend to all our needs during the festival for the Sabbath—for us and for all who reside in this city. סִימָן לְמָעֲשִׂים סְדוּרִים, אל ליל שמורים. (recite aloud:) the sixth day. The heavens and the earth and all their array were completed. On the seventh day, God completed the work that He had done, and God rested on the seventh day from all His labor that He had done. (On Yom Tov begin here:) Attention, everyone!Blessed are You, Adonai, our God, sovereign of the universe, creator of the fruit of the vine. Blessed are You, Adonai, our God, sovereign of the universe, who chose us from among all the nations, exalted us above people of every tongue, and sanctified us with Your commandments. בֵּין יוֹם הַשְּׁבִיעִי לְשֵֽׁשֶׁת יְמֵי הַמַּעֲשֶׂה. בֵּין קְדֻשַּׁת שַׁבָּת לִקְדֻשַׁת יוֹם טוֹב הִבְדַּֽלְתָּ. וְאֶת יוֹם הַשְּׁבִיעִי מִשֵּֽׁשֶׁת יְמֵי הַמַּעֲשֶׂה קִדַּֽשְׁתָּ. 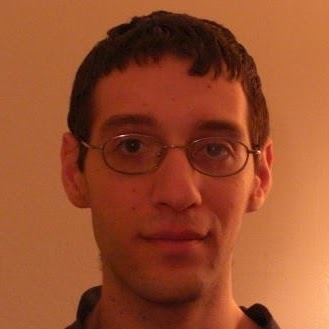 הִבְדַּֽלְתָּ וְקִדַּֽשְׁתָּ אֶת עַמְּךָ יִשְׂרָאֵל בִּקְדֻשָּׁתֶֽךָ. Recite on Saturday night:Blessed are You, Adonai, our God, sovereign of the universe, creator of the light of fire. Blessed are You, Adonai, our God, sovereign of the universe, who separates sacred from profane, light from darkness, Israel from the nations, and the seventh day from the six days of work. You have separated the sanctity of the Sabbath from the sanctity of festivals, and You have sanctified the seventh day from the six days of work. You have separated and sanctified Your people, Israel, with Your sanctity. Blessed are You, Adonai, our God, who separates one sanctum from another. Blessed are You, Adonai, our God, sovereign of the universe, who has kept us alive, sustained us, and brought us to this season.Drink the first cup of wine while leaning to the left. Wash hands without a blessing. Blessed are You, Adonai, our God, sovereign of the universe, creator of the fruit of the earth. Break the middle matzah and set the larger piece aside to hide as an afikoman. This is the bread of poverty that our ancestors ate in the land of Egypt. Let all who are needy come and partake of the Passover offering! next year, may we be in the land of Israel. next year, may we be free. On all other nights, we eat both leavened bread and matzah. On all other nights, we eat all kinds of herbs. On this night, we eat bitter herbs. On this night, we all recline. Keep the matzah uncovered through the next part of the seder. It is appropriate to read and discuss this portion of the Haggadah in a language that those present understand. and Adonai, our God, brought us out from there with a strong hand and an outstretched arm. If the Holy One, blessed is He, had not brought our ancestors out of Egypt, then we, our children, and our children’s children would still be enslaved to (some add: to Pharaoh in Egypt). we would still be commanded to discuss the exodus from Egypt. Moreover, one who elaborates on the exodus from Egypt is worthy of praise. A tale is told of Rabbi Eliezer, Rabbi Joshua, Rabbi Elazar son of Azariah, Rabbi Akiva, and Rabbi Tarfon, who held a seder [lit: reclined] in Bnei Brak. אָמַר רַבִּי אֶלְעָזָר בֶּן עֲזַרְיָה. הֲרֵי אֲנִי כְּבֶן שִׁבְעִים שָׁנָה. If it had said merely “the days of your life,” it would have meant only the days. However, because it says “all the days of your life,” it includes the nights as well. The sages interpret the verse differently: “The days of your life” would have referred to this era only. “All the days of your life” includes the messianic era as well. בָּרוּךְ שֶׁנָּתַן תּוֹרָה לְעַמּוֹ יִשְׂרָאֵל. Blessed is the Omnipresent; blessed is He. Blessed is the One who gave the Torah to His people Israel; blessed is He. כְּנֶגֶד אַרְבָּעָה בָנִים דִּבְּרָה תוֹרָה. and one who does not know enough to ask. You shall teach him the laws of Passover [down to the very last law in the mishnah:] One may not follow the paschal offering with entertainment. He refers to “you” rather than to himself. he would not have been redeemed. One might have thought that [the commandment to discuss the exodus could be fulfilled at any time] from the first of the month [of Nisan onward]. at any time other than [the Seder night,] when matzah and maror lie before you [since the term “this” must refer to something in the speaker’s presence]. “And Joshua said to all the people, ‘Thus said Adonai, the God of Israel: Your ancestors dwelled beyond the river from time immemorial – Teraḥ, father of Abraham and father of Naḥor – and they worshiped other gods. I took your ancestor Abraham from the other side of the river, and I led him through the whole land of Canaan, and I multiplied his descendents, and I gave him Isaac. “And He said to Abraham: ‘Know with certainty that your descendents will be strangers in a land not their own, and they shall serve its inhabitants, who will afflict them for four hundred years. Cover the matzot, raise the cup and recite:That which stood for our ancestors applies to us as well. For it was not only one individual who stood up against us to destroy us. Rather, in every generation they stand up against us to destroy us. But the Holy One, blessed is He, redeems us from their hands. Put down the cup, uncover the matsot, and continue. what Laban the Aramean sought to do to Jacob, our ancestor. He was compelled by the word [of God]. This teaches that the Israelites were distinct there. I, and not an angel. I, and not a fiery angel. I, and not the messenger. I am He, and no other. “With a strong hand”: Two [plagues]. “And with an outstretched arm”: Two [plagues]. “And with great fearsomeness”: Two [plagues]. “And with signs”: Two [plagues]. “And with wonders”: Two [plagues]. the death of the firstborn. and by fifty plagues at the sea? and at the sea they were afflicted with fifty plagues. How do we know that each and every plague that the Holy One, blessed is He, brought against the Egyptians in Egypt consisted of four plagues? “Messengers of evil”: Four [plagues]. and on the sea they were afflicted with two hundred plagues. How do we know that each and every plague that the Holy One, blessed is He, brought against the Egyptians in Egypt consisted of five plagues? “His burning anger”: One plague. “Messengers of evil”: Five [plagues]. and at the sea they were afflicted with two hundred fifty plagues. אִלּוּ נָתָן לָנוּ אֶת מָמוֹנָם. אִלּוּ קָרַע לָנוּ אֶת הַיָּם. וְלֹא סִפֵּק צָׇרְכֵּנוּ בַּמִּדְבָּר אַרְבָּעִים שָׁנָה. אִלּוּ סִפֵּק צָׇרְכֵּנוּ בַּמִּדְבָּר אַרְבָּעִים שָׁנָה. אִלּוּ נָתַן לָנוּ אֶת הַשַּׁבָּת. אִלּוּ קֵרְבָנוּ לִפְנֵי הַר סִינָי. אִלּוּ נָתַן לָנוּ אֶת הַתּוֹרָה. וְסִפֵּק צָׇרְכֵּנוּ בַּמִּדְבָּר אַרְבָּעִים שָׁנָה. What abundant, manifold goodness the Omnipresent has shown us! and built the temple for us to atone for all our transgressions. 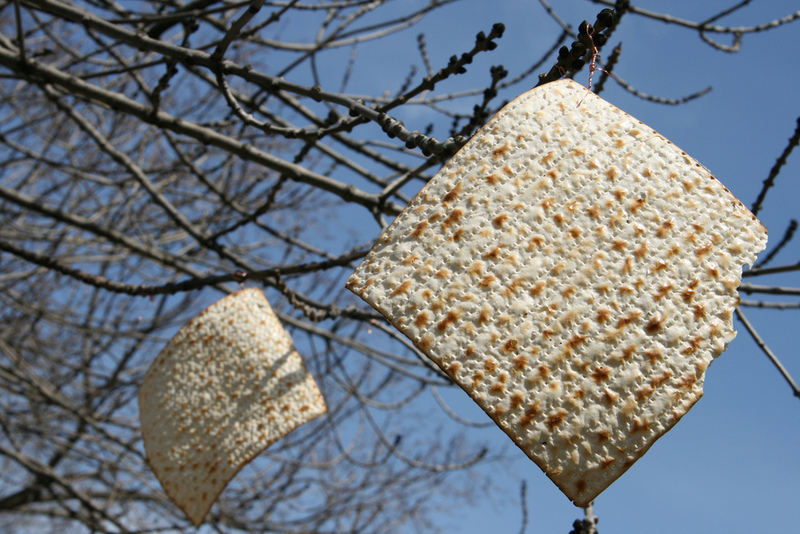 The matzah that we eat— what does it represent? It recalls that our ancestors’ dough did not have time to rise before sovereign of sovereigns, the Holy One, blessed is He, was revealed to them and redeemed them. The bitter herbs that we eat, what do they represent? It was not only our ancestors that the Holy One, blessed is He, redeemed. and from subjugation to redemption. We shall therefore sing before Him (some add: a new song). Halleluyah! Praise the name of Adonai! the name of Adonai is praised. His glory is over the heavens. among the nobles of (His) people. the happy mother of children. Jordan, that you turn back? before the God of Jacob! and brought us to this night on which to eat matzah and bitter herbs. Likewise may Adonai, our God and God of our ancestors, bring us to other holidays and festivals that await us in peace, with happiness at the building of Your city and joy in Your service. There may we eat of the sacrifices and of the Passover offerings, and may their blood reach the walls of Your altar with Your favor. Then we will sing to You a new song about our redemption and the rescue of our lives. Blessed are You, Adonai, redeemer of Israel. Drink the second cup of wine while leaning to the left.Blessed are You, Adonai, our God, sovereign of the universe, creator of the fruit of the vine. Wash hands and recite the following blessing. Blessed are You, Adonai, our God, sovereign of the universe, who sanctified us with Your commandments and commanded us regarding hand-washing. Take the three matzot, holding the broken one between the two whole ones, and hold them while reciting the following two blessings. Have in mind that the hamotzi blessing refers to the top matzah and the “al achilat matzah” blessing refers to the broken one. After reciting the two blessings, take a “kezayit”-sized piece of the top matzah and a “kezayit”-sized piece of the middle matzah, dip them in salt, and eat both pieces together. If you can’t fit both in your mouth, eat the one from the top matzah first and the one from the broken matzah second. Blessed are You, Adonai, our God, sovereign of the universe, who brings bread from the earth. Blessed are You, Adonai, our God, sovereign of the universe, who sanctified us with Your commandments and commanded us regarding the eating of matzah. Take a kezayit-sized portion of bitter herb, roll it around some charoset, and recite the following blessing. Eat the bitter herbs without leaning to the left. Blessed are You, Adonai, our God, sovereign of the universe, who sanctified us with Your commandments and commanded us regarding the eating of bitter herbs. After the meal, distribute a kezayit-sized portion of the afikoman to each seder participant and eat it. After eating the afikoman, fill the third cup and use it to recite the blessing after meals. and cries of joy were on our tongues. Adonai did great things for us, and we were happy. like springs in the Negev. Let us recite the blessing. May the name of Adonai be blessed forever and ever! the One of whose [bounty] we have eaten. Alternately, if people are present who did not eat (?!) they respond:May His name be greatly blessed always, forever and ever. Everyone together:Blessed is He and blessed is His name. Blessed are You, Adonai, our God, sovereign of the universe, who feeds the whole world in His goodness, in graciousness and kindness and mercy. He gives food to all flesh, for His kindness is everlasting. for the sake of His great name. For He is God who feeds and provides for everyone, brings goodness to everyone, and prepares food for all His creations that He created. Blessed are You, Adonai, who gives food to everyone. We thank You, Adonai, our God, for granting a good and bounteous land to our ancestors; and because You, Adonai, our God, brought us out of Egypt and rescued us from the house of slavery; and for Your covenant, which You sealed in our flesh; and for Your Torah, which You taught us; and for Your laws, which You made known to us; and for life, graciousness, and kindness, which You granted to us; and for food, with which You sustain us and provide for us always, every day and at every hour. For everything, Adonai, our God, we thank You and bless You. May Your name be blessed in the mouth of every living being always, forever and ever! Blessed are You, Adonai, for the land and for the food. Have mercy, Adonai, our God, on Israel, Your people; on Jerusalem, Your city; on Zion, the dwelling place of Your Glory; on the kingdom of the family of David, Your anointed one; and on the great and holy temple over which Your name is proclaimed. Our God, our father, our shepherd, our feeder, our provider, our sustainer, and our deliverer: Deliver us, Adonai, our God, speedily from all our distress. Please, do not make us dependent on the charity of flesh and blood or on their loans. For it is in Your power of holiness and generosity to see that we are never shamed or humiliated. Take favor in Your commandments, Adonai, our God, and help us fulfill them, specifically the commandment of the seventh day, this great and holy Sabbath. For it is a great and holy day before You for ceasing all labor and resting, with love, in accordance with the commandments in which You take favor. May it be Your will, Adonai, our God, that we be spared from distress, suffering, and hardship on our day of rest. Allow us to see, Adonai, our God, the comforting of Zion, Your city, and the rebuilding of Jerusalem, Your holy city. For You are master of salvation and master of consolation. וְזִכְרוֹן מָשִֽׁיחַ בֶּן דָּוִד עַבְדֶּֽךָ. and the memory of all Your people, the family of Israel. May we be remembered for salvation, goodness, graciousness, mercy, and life on this festival of Matzot. and grant us the salvation of life. With regard to salvation and mercy, act graciously toward us, have mercy on us, and save us, for we look to You, because You are a gracious and merciful God. May the holy city of Jerusalem be rebuilt speedily in our day. Blessed are You, Adonai, merciful rebuilder of Jerusalem. Amen. Blessed are You, Adonai, our God, sovereign of the universe, God, our father, our sovereign, our mighty one, our creator, our redeemer, our fashioner, our holy one, the Holy One of Jacob, our shepherd, Shepherd of Israel, the benevolent sovereign who bestows goodness on everyone. For every day He bestowed goodness, He bestows goodness, and He will bestow goodness on us; He granted us favor, He grants us favor, and He will grant us favor forever. For graciousness, kindness, and mercy; for rescuing and saving; for bestowing blessing, salvation, comfort, provision, sustenance, mercy, life, peace, and everything good [we bless Him]. May He never cause us to lack anything good! May the Merciful One be praised from generation to generation and be glorified among us in perpetuity. May the Merciful One provide for us with dignity. May the Merciful One break the yoke on our necks and lead us to our land in pride. May the Merciful One send abundant blessing to this house and this table upon which we have eaten. May the Merciful One send us Elijah the prophet, of blessed memory, and may He bring us good tidings of salvation and consolation. along with their household and all that is theirs. And [may He bless] us and all that is ours. As He blessed our ancestors, Abraham, Isaac, and Jacob with everything, so may He bless us, all of us together, with a complete blessing. And let us say Amen. May merit be invoked upon high, on their behalf and on ours, leading to enduring peace. May we receive blessing from Adonai and beneficence from the God of our salvation. And may we find grace and good favor in the eyes of God and mortals. May the Merciful One grant us a day that is fully Shabbat and the rest of eternal life. May the Merciful One grant us a day that is fully good. May the Merciful One find us worthy of the coming of the messiah and life in the world to come. He brings salvation to His king and acts kindly to His anointed one, to David and to His descendants forever. May the One who creates peace in His heavens create peace among us and all Israel. And let us say Amen. Drink the third cup while leaning to the left.Blessed are You, Adonai, our God, sovereign of the universe, creator of the fruit of the vine. May all Your creations praise You, Adonai, our God. Your pious ones, the righteous who do Your will, and all Your people the family of Israel will thank, bless, praise, glorify, exalt, revere, and sanctify Your name in joy and declare You sovereign, our sovereign. For it is good to praise You and pleasing to sing to Your name, for You are God forever and ever. In the mouths of the upright He is praised, in the words of the righteous He is blessed, by the tongues of the pious He is exalted, and in the midst of the holy He is sanctified. In the congregation of the myriads of Your people, the family of Israel, Your name will be glorified, our sovereign, in each and every generation. For this is the duty of all creations before You, Adonai our God and God of our ancestors: to thank and praise and glorify You beyond all the words of the songs and praises of David, Your anointed servant. May Your name be praised forever, our sovereign, Great and holy divine sovereign in the heavens and the earth. For You is fitting, Adonai our God and God of our ancestors, song and exaltation, praise and melody, might and power, eminence, greatness, strength, praise, glory, holiness, sovereignty, blessings and thanks from now and for all eternity. Blessed are You, Adonai, divine sovereign worthy of praise and thanksgiving, master of wonders who chooses melodious songs, royal God who endures forever. On the first night recite the following:It happened at midnight: You brought about many miracles at night. At the beginning of the watches on this night You brought victory to [Abraham,] the righteous convert, in the middle of the night. You passed judgment on the king of Gerar in a dream of night. You frightened [Laban] the Aramean “last night.” Israel fought with God and prevailed over Him at night. You crushed the firstborn of Pathros [Egypt] at midnight. They did not find their host when they rose at night. You defeated the prince of Harosheth [Sisera] with the stars of night. You dried up the corpses of the blasphemer [Sennacherib] who plotted to rise up against Zion at night. [The statue of] Bel and the one who erected it [Nebuchadnezar] kneeled in the dark of night. The secret of visions was revealed to the beloved man [Daniel] at night. [Belshazar,] the one who became drunk by [drinking from] the sacred vessels was killed on that night. [Daniel] was saved from the pit of lions, he who interpreted the terrors of night. The Aggagite [Haman] nursed his hatred and wrote edicts at night. You aroused Your victory over him [Haman] when sleep fled [from Ahasuerus] at night. You will trample the winepress for [the one who asks,] “Watchman, what of the night?” He [God] cried out like a watchman, saying, “Morning has come, as well as Layla/Night. Bring near the day that is neither day nor night. Most High, make known that Yours is the day as well as the night. Appoint watchmen [to guard] Your city all day and all night. Illuminate like day the dark of night. On the second night recite the following:You shall say: “The Passover sacrifice.” You wrought mighty wonders on Passover. The first of all festivals, You exalted Passover. You revealed to the Ezrahite [Abraham] [that which would occur] at midnight on Passover. You knocked on his [Abraham’s] door in the heat of the day on Passover. He fed the luminous [angels] loaves of matzah on Passover. He ran to the cattle, which are reminiscent of the ox about which we read on Passover. Your wrath was unleashed on the inhabitants of Sodom, who were burned by fire on Passover. Lot escaped from them and baked matzah at the end of Passover. You destroyed the land of Moph and Noph [Egypt] when You passed through on Passover. Yah, You crushed the all the first of their strength on the night of the observance of Passover. Mighty One, You passed over the son [Israel, whose houses were marked] with the blood of the lamb of Passover so as not to allow the Destroyer to enter my doorways on Passover. The enclosed [city of Jericho] was closed at the time of Passover. Midian was destroyed by a cake of barley from the omer offering of Passover. The fat of Pul and Lud [Assyria] was burned by a fire kindled on Passover. Still on this day, he [Sennacherib] stood at Nob until the arrival of the season of Passover. The hand wrote, engraving deeply, on Passover. “Let the watchmen watch!” “Set the table!”— on Passover. Hadassah assembled the people to fast for three days on Passover. You crushed the roof of the wicked one’s [Haman’s] house with a fifty-[cubit] stake on Passover. Cause these two things to happen to the Utsite [Edom] on Passover. May Your hand be strengthened, may Your right hand be mightily exalted, as on the night of the holy festival of Passover. Drink the fourth cup while leaning to the left. Blessed are You, Adonai, our God, sovereign of the universe, creator of the fruit of the vine. Blessed are You, Adonai our God, sovereign of the universe, for the vine and for the fruit of the vine, for the produce of the field, and for the beloved, good, and broad land that You desired and bequeathed to our ancestors so that they could eat of its fruit and be sated with its goodness. Have mercy, Adonai our God, on Your people, Israel, on Your city, Jerusalem, on Zion, the dwelling-place of Your Glory, on Your altar, and on Your temple. Rebuild the holy city of Jerusalem speedily in our days, bring us to it, and let us rejoice in it. Then we will eat of its fruit and be sated with its goodness, and we will bless You for it in holiness and purity. May it be Your will to strengthen us on this Sabbath day. Let us rejoice on this festival of Matzot. For You, Adonai, are good and do good for everyone, and we thank You for the land and for the fruit of the vine. Blessed are You, Adonai, for the land and for the fruit of the vine. The Passover seder has been completed correctly according to all its laws and regulations. Just as we merited to have a Passover seder, so may we merit to bring the Passover offering. Pure One, who dwells in the heavens, Raise up the assembly that cannot be numbered. Bring near the day when You lead the stock that You planted, redeemed, to Zion in joy. He is mighty. May He rebuild His temple soon! Speedily, speedily, in our days, soon! God, build! God, build! Rebuild Your temple soon! Blessed are You, Adonai our God, sovereign of the universe, who sanctified us with Your commandments and commanded us to count the omer. May it be Your will, Adonai our God and God of our ancestors, that the temple be rebuilt speedily in our days, and may You grant us a portion in Your Torah. Who knows two? I know two! Two are the tablets of the covenant, and one is our God in the heavens and the earth. Who knows three? I know three! Three are the fathers, two are the tablets of the covenant, and one is our God in the heavens and the earth. Who knows four? I know four! Four are the matriarchs, three are the patriarchs, two are the tablets of the covenant, and one is our God in the heavens and the earth. Who knows five? I know five! Five are the books of the Torah, four are the matriarchs, three are the patriarchs, two are the tablets of the covenant, and one is our God in the heavens and the earth. Who knows six? I know six! Six are the orders of the Mishnah, five are the books of the Torah, four are the matriarchs, three are the patriarchs, two are the tablets of the covenant, and one is our God in the heavens and the earth. Who knows seven? I know seven! seven are the days of the week, six are the orders of the Mishnah, five are the books of the Torah, four are the matriarchs, three are the patriarchs, two are the tablets of the covenant, and one is our God in the heavens and the earth. Who knows eight? I know eight! Eight are the days until circumcision, seven are the days of the week, six are the orders of the Mishnah, five are the books of the Torah, four are the matriarchs, three are the patriarchs, two are the tablets of the covenant, and one is our God in the heavens and the earth. Who knows nine? I know nine! Nine are the months of pregnancy, eight are the days until circumcision, seven are the days of the week, six are the orders of the Mishnah, five are the books of the Torah, four are the matriarchs, three are the patriarchs, two are the tablets of the covenant, and one is our God in the heavens and the earth. Who knows ten? I know ten! Ten are the commandments, nine are the months of pregnancy, eight are the days until circumcision, seven are the days of the week, six are the orders of the Mishnah, five are the books of the Torah, four are the matriarchs, three are the patriarchs, two are the tablets of the covenant, and one is our God in the heavens and the earth. Who knows eleven? I know eleven! Eleven are the stars [in Joseph’s dream], ten are the commandments, nine are the months of pregnancy, eight are the days until circumcision, seven are the days of the week, six are the orders of the Mishnah, five are the books of the Torah, four are the matriarchs, three are the patriarchs, two are the tablets of the covenant, and one is our God in the heavens and the earth. Who knows twelve? I know twelve! Twelve are the tribes [of Israel], eleven are the stars in Joseph’s dream, ten are the commandments, nine are the months of pregnancy, eight are the days until circumcision, seven are the days of the week, six are the orders of the Mishnah, five are the books of the Torah, four are the matriarchs, three are the patriarchs, two are the tablets of the covenant, and one is our God in the heavens and the earth. Who knows thirteen? I know thirteen! Thirteen are the attributes [of God’s mercy], twelve are the tribes [of Israel], eleven are the stars in Joseph’s dream, ten are the commandments, nine are the months of pregnancy, eight are the days until circumcision, seven are the days of the week, six are the orders of the Mishnah, five are the books of the Torah, four are the matriarchs, three are the patriarchs, two are the tablets of the covenant, and one is our God in the heavens and the earth. One little goat, one little goat that my father bought for two zuzim. The angel of death came and slaughtered the butcher who slaughtered the ox that drank the water that put out the fire that burned the stick that bit the dog that bit the cat that ate the goat that my father bought for two zuzim. One little goat, one little goat. Then the Holy One, Blessed is He, came and slaughtered the angel of death who slaughtered the butcher who slaughtered the ox that drank the water that put out the fire that burned the stick that bit the dog that bit the cat that ate the goat that my father bought for two zuzim. One little goat, one little goat. “הגדה לסדר פסח | Haggadah for the Passover Seder, with an English translation by Eve Feinstein” is shared by Eve Levavi Feinstein with a Creative Commons Attribution-ShareAlike 4.0 International copyleft license. Please reciprocate for any adaptation or redistribution of this work by (1) properly attributing the work to Eve Levavi Feinstein and Efraim Feinstein, (2) clearly indicating the date you accessed the resource and whether any changes have been made (and if so, please be in touch with us and leave a comment below so that we might note your adaptation or improvement), (3) providing a link back to this source, and (4) specifying the Creative Commons Attribution-ShareAlike (CC BY-SA) 4.0 International copyleft license under which this work was shared. 2013-05-11 – 2 Sivan 5773 at 7:16 pm · Reply. I was curious as to where you sourced this text from, and the eng translation. I’m keen on adapting it to make a haggadah of my own and wanted to know if it has undergone a checking and editing process already, and how you ensured there were no missing words or paragraphs. 2013-05-14 – 5 Sivan 5773 at 12:16 am · Reply. The Hebrew is from the Heidenheim haggadah. The English is all me. I went over it this year, but I’m sure it could use some more editing/proofreading. I’d also appreciate any feedback. 2014-11-04 – 12 Heshvan 5775 at 7:29 am · Reply. I can’t seem to locate the text (English translation). Where is the link? 2014-11-04 – 12 Heshvan 5775 at 8:10 am · Reply. A wordpress plugin update yesterday had an unintended consequence. The problem should be fixed now. At the very least, it’s a good argument for making the texts available in additional open formats (besides HTML). Thank you for mentioning this as it affected the entire site!